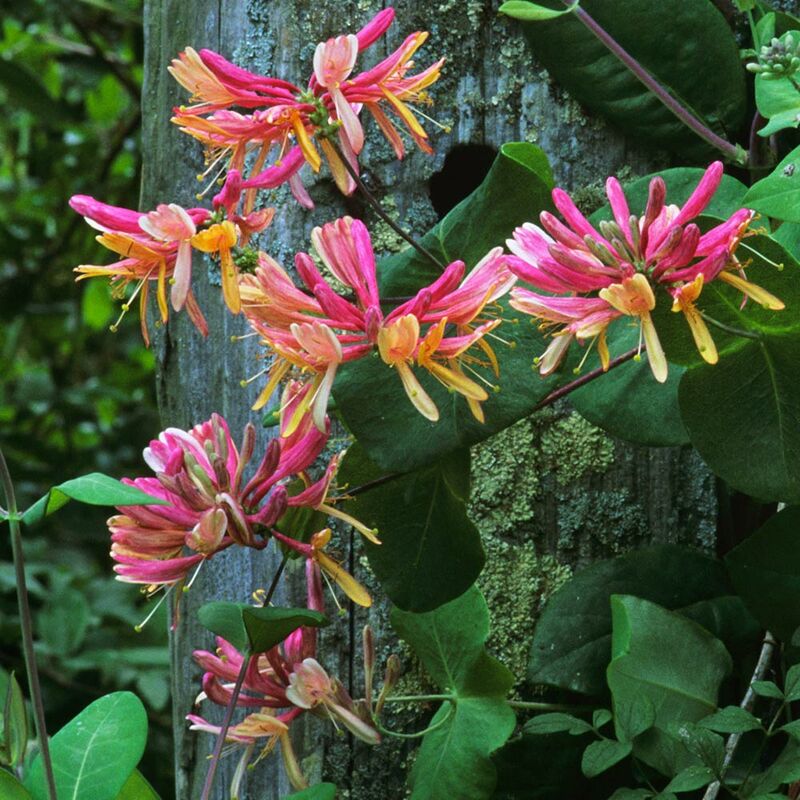 Also known as 'Dutch Woodbine', Lonicera Periclymenum Belgica is a vigorous, vine-like climbing plant which flowers between May and July bringing a profusion of vibrant colour to the summer garden, not to mention a delicate and instantly recognisable fragrance. 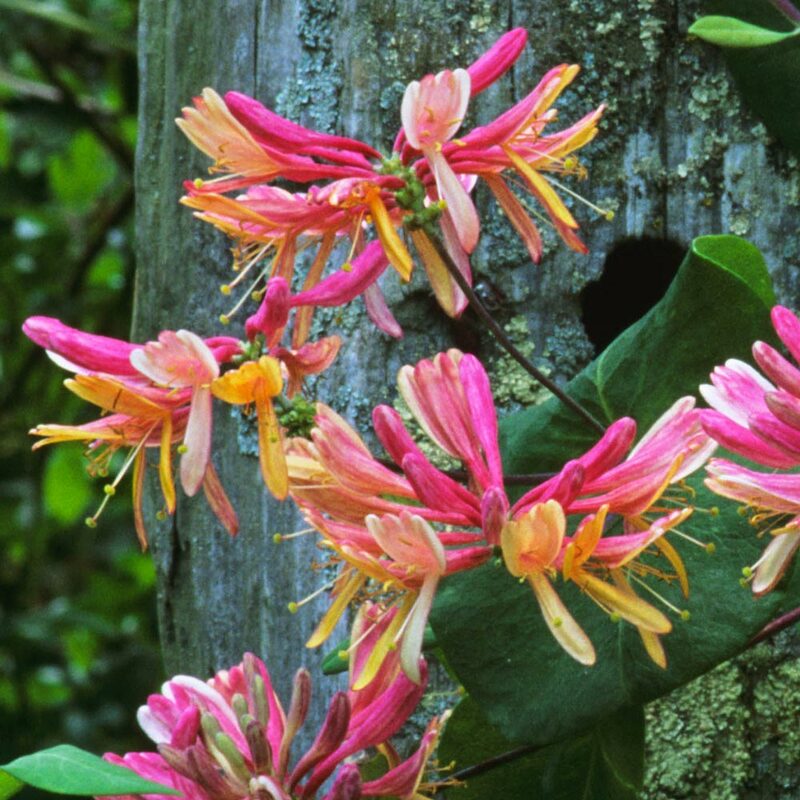 Honeysuckle Belgica produces a profusion of aromatic blooms, each consisting of curved, almost tubular flower heads. The lower rings of cream flowers mature to a vivid lemon shade, whilst the upper rings remain a flamboyant pink. Depending on the warmth of the summer, Honeysuckle Belgica will also yield an explosion of small red fruits when autumn arrives for continued enjoyment. 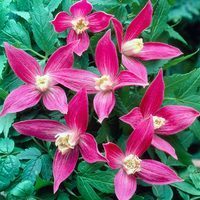 A hardy climber, this variety will happily clamber over walls, fences or pergolas for a striking floral display, and its loose, spreading habit makes it a particularly attractive choice for cottage or wildlife gardens. Grows to a mature height of 5m but can be pruned according to preference. Supplied as 30-40cm tall caned plants in a 9cm pot. Planting Plant with plenty of room for the roots to expand/develop. Plant with plenty of room for the roots to expand/develop. 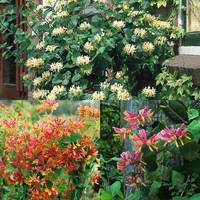 The Honeysuckle is best when planted in well drained, fertile soil with plenty of access to the sun. 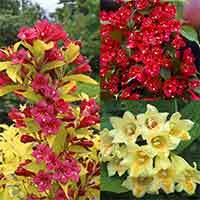 They can be grown in many various positions depending on what you want from the shrub. 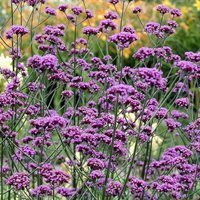 It can be planted as part of a border display or trained to climb against a wall/fence.